Where I live in the mountains of eastern Oregon, edible mushrooms grow in the woods right outside my back door. But when I want mushrooms I can count on, I head for the supermarket. 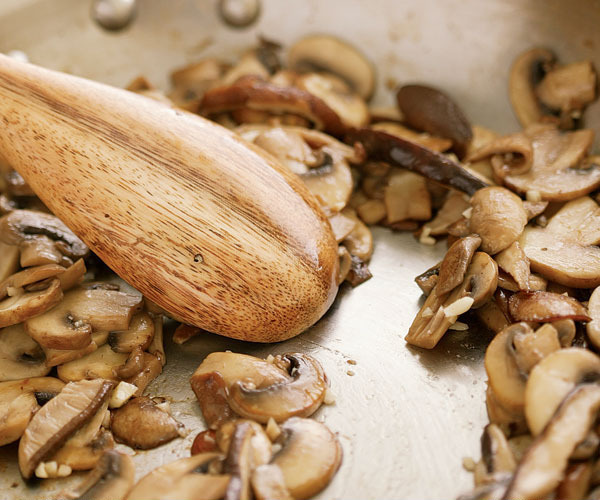 I buy what I’ve come to think of as everyday mushrooms—white button, cremini, and shiitake—and use those supermarket varieties to make a mushroom sauté that has great flavors and texture. 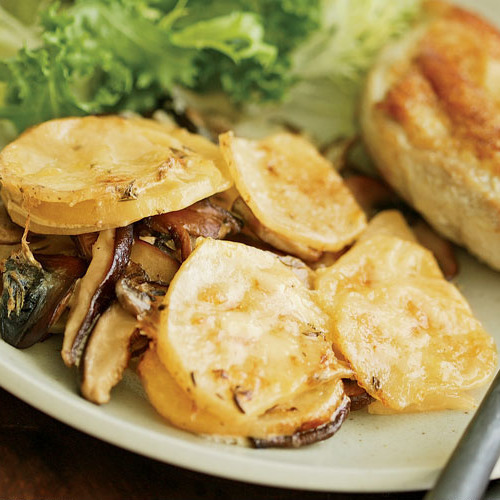 On its own, my sauté is a terrific side dish for pork chops, steak, or chicken. 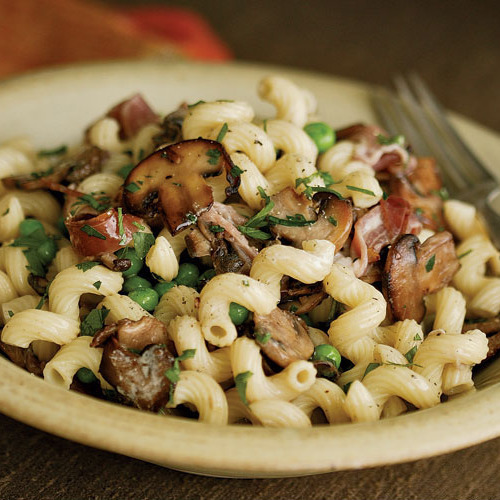 What’s also great is that the same mushroom sauté can be a springboard for lots of other easy recipes, like a mushroom and Fontina tart, a potato and mushroom gratin, and a pasta dish with mushrooms, peas, and prosciutto. I cook everyday mushrooms exactly the way I do exotic ones: I sauté them over steady heat long enough to cook out their moisture and then let them brown to intensify their flavors. This two-step approach creates the most flavorful sauté. Cook out the moisture. The reason so many mushrooms sautés are bland is that the mushrooms haven’t had sufficient time to release much of the water they contain. A wide skillet and medium heat encourage rapid evaporation, and salting early draws out their moisture. I also add garlic when there’s still liquid in the pan because the mushrooms absorb all of that delicious flavor. Brown to intensify flavors. 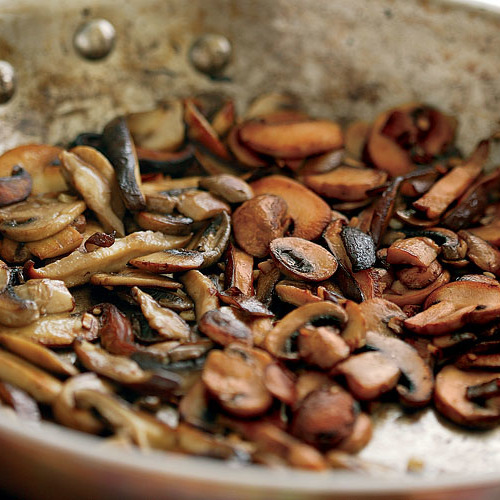 Another reason a mushroom sauté can be bland is that the mushrooms haven’t been browned enough. So, once the liquid has evaporated and the mushrooms have shrunk down in the pan, I crank up the heat. 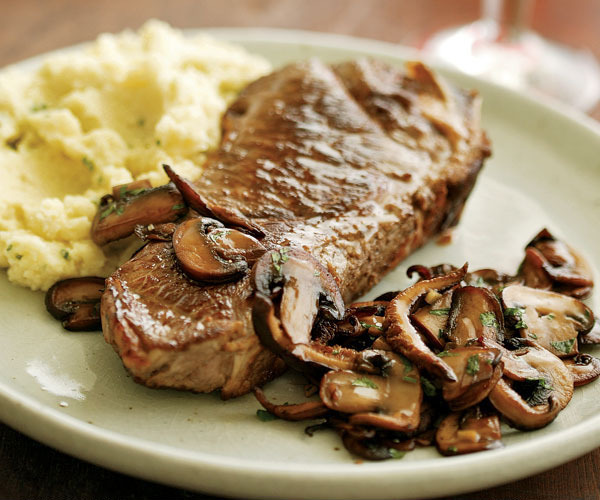 Since browning is what creates deep flavor, it’s important to let the mushrooms sit and brown. You’ll be tempted to stir them often—resist. I take the pan off the heat when the mushrooms are still glossy but before they start to shrivel, tossing in fresh herbs and seasoning to taste, depending on the final recipe. Their rich and savory flavor is anything but everyday. I recommend washing fresh mushrooms, rather than wiping them clean. Washing is actually quicker and less tedious than wiping, and the grit the mushrooms leave behind is impressive. Plus, any moisture will be released in cooking. Simply fill a large bowl with water. Plunge the mushrooms in for a moment, swirl them around, and then lift them out, drain them in a strainer, and pat them dry if you like. Trimming mushrooms is simple. For cremini and white button mushrooms, simply trim the very ends of the stems; leave the rest on. 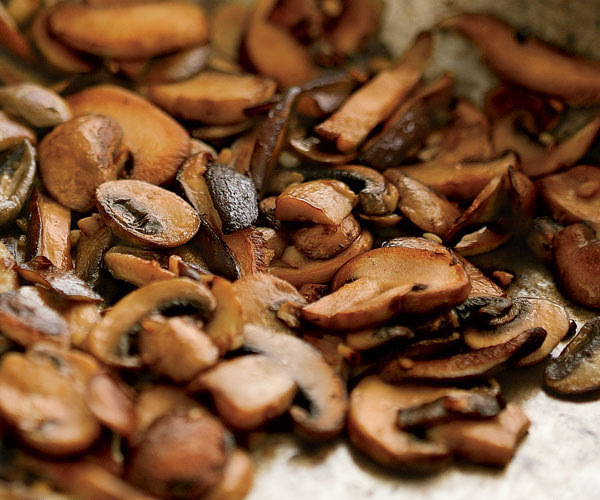 For shiitake mushrooms, remove and discard the whole stem, which is tough and dry. 1. Cook out the moisture. 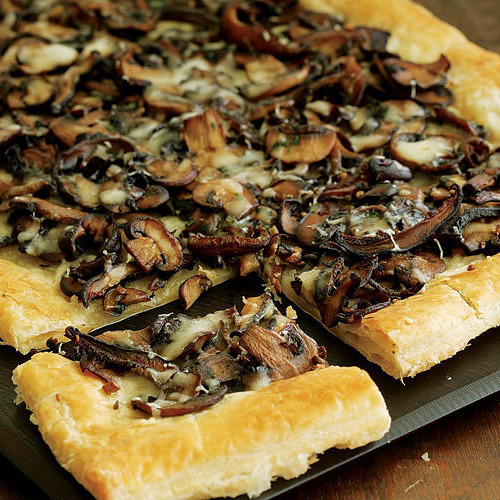 Concentrate the flavor by allowing enough time for the mushrooms to release all of their water. 2. Brown for deep flavor. Crank up the heat to brown them, and resist the inclination to stir too much. • Tuck into a quiche, omelet, or frittata. • Stir into cooked white, brown, or wild rice. • Toss into kasha or a barley pilaf. • Spoon over baked or grilled polenta and top with grated Parmigiano Reggiano. • Add to sautéed green beans. • Stir into simmered tomato sauce and toss with pasta. • Add to chicken broth with rice noodles, ginger, and soy.